Sanders introduces Sansibar! A little sensual, certainly soft and desirable, the new Sanders Sansibar range presents all the elements of a laid back and relaxing beach holiday with a seriously cool element. Inspired by the island of Zanzibar the range with the crossed swords motif was developed originally on the island of Sylt in Northern Germany. An exclusive holiday resort frequented by the rich and famous, the island boasts a restaurant called Sansibar, which has become the hub of this tranquil northern paradise. Here the guests can enjoy freshest seafood cuisine – a marriage of North meets South! A collaboration between Sanders Germany and the restaurant owner brought this exclusive Sansibar range together, giving guests to the island of Sylt an additional touch of the exotic world of Zanzibar. Now South Africans can enjoy that special feeling of luxury – an echo of the freedom of sun, wind and sea. 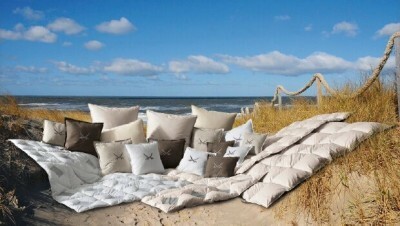 This exclusive range of 100% cotton pillow covers in two sizes can enhance any beach house veranda! Earth shades and white cool down a hot summers day and make lying back for an afternoon nap even more alluring. And as dusk comes in and the air begins the cool, the travel quilt of 90%/10% down and feathers, being the lightest down comforter in the world, adds the warmth to allow you to enjoy an evening under the stars. What better way than to enjoy long, hot summer nights? Details: Pillows: 100% Cotton fabric, with a Microfiber filling. Sizes 40x40 & 50x50, priced from: R459 Travel quilt: filled with 90% down and 10% feather. Size: 135x200 (the size of a single duvet) Priced from: R3899 The softer side of German engineering - for your comfort - at Sanders South Africa. Visit our online shop for some exceptionally soft bedding ideas! 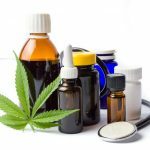 www.thesofterside.co.za Enquiries: 086 123 4448 33 Salt River Road, Salt River, Cape Town Ends Issued on behalf of Sanders South Africa by HIPPO Communications For further information call: Beryl . . .
“Making sure our programme addresses the latest challenges” “There’s no doubt that renewable energy as well as smart technology are changing the way power and water utilities operate and deal with their customers. 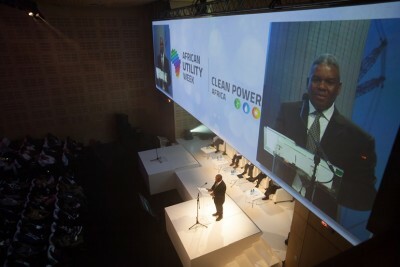 The industry is constantly challenged and presented with new opportunities and it is therefore vital for power and water professionals to share knowledge and collaborate on a regional basis.” This is according to Evan Schiff, who heads up the 16th African Utility Week and Clean Power Africa conference and trade exhibition that returns to Cape Town from 17-19 May 2016 – gathering some 6000 engineers, stakeholders and solution providers from around the globe. The event will feature 250 exhibitors, 250 speakers, a six stream strategic conference, free-to-attend technical conference on the expo floor, three high-profile keynote sessions, technical site visits and the coveted industry awards gala dinner. 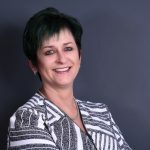 Evan adds: “We are very proud of our African Utility Week Advisory Board which comprises senior decision makers from utilities, large power users, IPPs, consultants and contractors from across the continent. They take a very active role in making sure our programme addresses the latest challenges, developments and opportunities in the power and water sectors: ranging from generation, T&D, metering, clean energy, finance, reliability, water supply or energy efficiency. We will once again showcase many success stories in clean energy; look at bankable power projects and energy storage will be discussed as a possible game changer for energy independence. We also have a strong focus on water for 2016, including the water-energy nexus, water efficiency and wastewater management.” Industry Awards Dr Lawrence Musaba, Co-ordination Centre Manager, Southern African Power Pool (SAPP) in Zimbabwe is already confirmed as a high-level keynote speaker at this leading annual industry meeting. He says current challenges facing the energy sector include “low . . . In December 2015, Col’Cacchio Holdings, the holding company of Col’Cacchio pizzeria, will be launching a new brand - First Base. This “fast casual” restaurant will be located in the Paddocks Shopping Centre in Milnerton, Cape Town, and will give customers the opportunity to craft their very own tailor-made pizzas and salads, using the freshest and finest ingredients on offer. Co-founded by Directors Michael Terespolsky, Kinga Baranowska and Greg Mommsen, the first Col’Cacchio pizzeria opened its doors in 1992 serving Italian-inspired food with an innovative flair. Renowned for their diverse menu of gourmet pizzas, freshly prepared salads and pastas, and a full service sit-down dining experience, Col’Cacchio pizzeria is now a nationwide chain with over 32 stores. Between quick service restaurants (fast food) and full service restaurants lies the rapidly growing “fast casual” restaurant sector. First Base will offer a casual dining experience at a fast food pace, while providing customers with made to order, freshly-prepared, high-quality food, traditionally absent from quick service restaurants. At the very centre of the “fast casual” restaurant culture is the fact that customers order what they want rather than what the restaurant dictates. By building your own pizza or salad you get exactly what you want and only pay for what you decide. Pizzas and salads will be priced according to the amount of toppings you choose regardless of what they are, with the exception of a few premium toppings that will be costed separately. First Base will also have five signature pizzas and three signature salads for those customers who prefer to order off a menu or who don’t trust their own inventions. To end off the experience, customers can enjoy a soft serve ice-cream with a selection of unique homemade toppings to choose from. The second major influence that brought about the “fast casual” trend or what is now becoming known as the “fine-casual” trend is that . . . 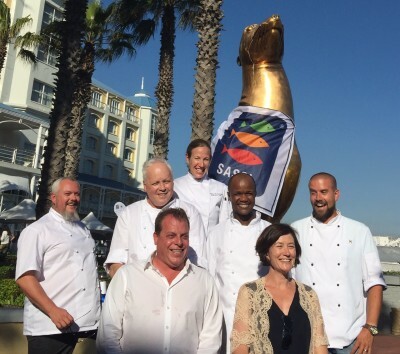 Seven South African chefs were announced as ‘Trailblazers’ in the 2015 WWF-SASSI Trailblazer Awards, held at The Table Bay Hotel, on Cape Town’s V&A Waterfront on Monday, 30th November 2015. The seven awarded chefs are: Chef Peter Pankhurst - Savoy Cabbage Restaurant Chef Greg Coleman - East Head Café, Knysna Chef Michelle Theron - Pierneef à La Motte Chef Jocelyn Myers-Adams – Table Bay Hotel Chef Hylton Espey - Equus at Cavalli Wine Estate Chef Sias Tabambi - Harbour House Restaurant Chef Jonathan Japha - Black Sheep Restaurant Building on the phenomenal success of SASSI’s "Green, Orange, Red” guide amongst the South African public, the SASSI Trailblazer Awards recognise and celebrate chefs who are actively championing sustainable seafood practices in their restaurants. Pavs Pillay, SASSI Programme Manager at WWF-SA, commented, “Our partnerships with chefs are inspired by a love of seafood and a shared commitment to help restore our overexploited seafood species. The chefs we are recognising have gone the extra mile in advocating the sustainability message.” A previously awarded Trailblazer, and now Mentor, Chef Brad Ball of Peddlars & Co. in Constantia, Cape Town, added; “Chefs serve as the gatekeepers for the food and hospitality industry and therefore play a critical role in leading market forces and influencing popular taste. The reality is that chefs who support and promote ocean-friendly seafood can help ensure that there are fish to catch and enjoy tomorrow. My role is to do this, and to make up-and-coming chefs aware of what’s at stake.” Clare Mack, of Spill Communications, and the awards organiser, said, “It’s gratifying to see, in the third year of these awards, that many restaurants are adopting sustainable practices in seafood, without any intervention or prompting. Sustainability is now mainstream, it has really caught on.” The criteria on which the restaurants and chefs were assessed were: The . . . The takealot.com Cape Town 10s, South Africa’s biggest sport and lifestyle event, will take place on the 5 & 6 February 2016 at Hamilton’s Rugby Club in Green Point, and is set to be the biggest event to date, with the addition of beach volleyball as a third sporting code. Spectators can look forward to two days of action packed sport including rugby, netball and beach volleyball and loads of entertainment. The 2016 will include a killer music line-up, a cool new event layout, exciting activations from headline sponsor takealot.com, and Africa’s largest beer tent! You can expect live performances from GoodLuck, Just Jinjer, Kurt Darren, Rockerfellas, Hotwater, The Kiffness, Me & Mr Brown, DJ Sox and crowd favourite, The Rivertones. Visitors can look forward to sporting action from 100 rugby teams, 40 netball teams and 32 social beach volleyball games as well as some Flying Fish Pro Series beach volleyball matches. Apart from the sports action, there will be more on offer for the whole family including kids and family entertainment area, and a great food and drink offering from Food Lover’s Market. 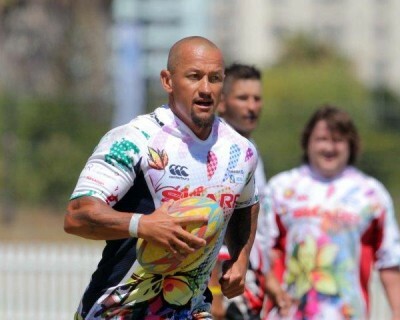 Event Details: Date: 5 & 6 February 2016 Venue: Hamilton’s Rugby Club, Green Point, Cape Town The takealot.com Cape Town 10s is set to again be a sell-out tournament. Book tickets soon to avoid disappointment! For more information please visit the takealot.com Cape Town 10s website at www.capetowntens.com or contact info@capetowntens.com. For social media updates go to: • Facebook at www.facebook.com/capetowntens • Twitter @takealot10s • Instagram: capetown10s • YouTube https://www.youtube.com/user/capetowntens Check out the cool 2016 promo video here: https://goo.gl/qOH9qt For media requests or high res images please contact amy@klprsa.com at KL PR & Events Author: Aneeqah Kamish from KL PR & Events. Images: For high res version/s of Three image/s please contact KL PR & Events. Photo: Photo: YouTube: CLICK . . . In Paris the world will be negotiating the terms of the next big climate agreement. The COP21 summit will determine the shape of global development until at least 2030. Leading up to COP21 people all around the world will gather together for two weeks of action to raise awareness about the impacts of climate change and the need to move to clean energy. One day before world leaders converge in Paris, on Sunday 29 November, people across South Africa will march in support of climate justice and the end of carbon pollution. Thousands of organisations, like WWF, faith groups, students and labour unions will come together for a day of fun, and to have their voices heard. A South African economy that is powered by clean energy will generate a healthy sustainable environment for our natural heritage, our biodiversity and our loved ones. To find out more about the some of the marches, visit: Cape Town 350.org: http://bit.ly/20mZ089 Facebook: https://www.facebook.com/groups/1477215735877020/ Johannesburg https://secure.avaaz.org/en/event/globalclimatemarch/Jozi_Climate_March Hilton https://secure.avaaz.org/en/event/globalclimatemarch/Climate_March_Durban Newcastle/Wakkerstoom http://bit.ly/1SrKRBC Author: Sarah Van Der Ahee from HIPPO Communications. More Info link: http://bit.ly/20mZ089 Twitter: Facebook: Images: For high res version/s of One image/s please contact HIPPO Communications. 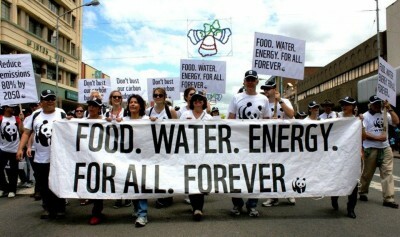 Join the Global Climate March CLICK HERE to submit your press release to MyPR.co.za. Have a look at the online visibility from 11/26/2015 to today for Global Climate March: Google Search Results Bing Search Results Yahoo Search Results DuckDuckGo Search Results Twitter Mentions . . . This festive season, Groupon is the place to shop for your loved ones! If you are looking for gifts for her – Groupon has spa treatments, a studio photoshoot, wine tours, romantic dining experiences and much more. Spoiling her has never been so easy and affordable. Gifts for her: • Choice of Full Body Massages from R225 for at Spa Boutique (Up to 69% Off) Spa Boutique in Cape Town enjoys a central location next to the Protea Hotel Fire and Ice, as well as a ‘back to basics’ approach to their services and treatments. Visitors take the time out to indulge in a choice of massages with optional hot stones. Read more about the Spa Boutique in Cape Town deal here: https://www.groupon.co.za/deals/spa-boutique-12 • Choice of Russell Hobbs Baking and Mixing Appliances from R399 Including Delivery (Up to 27% Off) The Russell Hobbs Baking and Mixing Appliances are the perfect tools to try out new recipes and cooking techniques. Read more about the Russell Hobbs Baking and Mixing Appliances deal here: https://www.groupon.co.za/deals/gg-groupon-goods-493-37 • Timberland Ladies and Men's Watches from R999 Including Delivery (Up to 30% Off) Stay on time with a choice of ladies and men’s Timberland watches. Read more about the Timberland Ladies and Men's Watches here: https://www.groupon.co.za/deals/gg-groupon-goods-332682-13 To find more deals for her, look here: https://www.groupon.co.za/occasion/go-wild-christmas-her Want to spoil hubby or boyfriend this festive season? Groupon has amazing deals that won’t break the bank. Treat him to a beer tasting and tour at Stellenbrau Brewery. If he is a bit of an adrenaline junky, Groupon offers shark cage diving, a supercar driving experience or a zipline tree-top slide for him and his friends to enjoy. Gifts For him: • Beer Tasting and Tour with a Draught from R99 for Two at Stellenbrau Brewery (Up to 48% Off) Established as the first first artisanal beer brewed in Stellenbosch, Stellenbrau . . .
Concert information: 021 799 8783/8620/8773 Entrance charge: Adults: R150, Youth (6-21 yrs with ID): R110, Children under 6 years: free How to book: www.webtickets.co.za Event venue: Concert stage area Jack Parow is an Afrikaans rapper from Cape Town. Rap band PHFAT will open the concert. This concert is Kirstenbosch’s annual fundraiser for the Kirstenbosch-South Africa Chelsea Flower Show exhibit. Please note that this concert is taking place on 21 March, Human Rights Day, which is a Monday. Gates to the concert area open at 16h00. The concert goes ahead irrespective of rain. Regret no refunds are issued. Visit the Kirstenbosch Summer Sunset Concerts page for more information and to see the full line-up for the rest of the series. Author: Sarah Van Der Ahee from HIPPO Communications. More Info link: http://www.sanbi.org/events/jack-parow-phfat-kirstenbosch-nbg Twitter: Facebook: Images: For high res version/s of One image/s please contact HIPPO Communications. Jack Parow-Concert Kirstenbosch Botanical Gardens Photo: Photo: Photo: YouTube: CLICK HERE to submit your press release to MyPR.co.za. Have a look at the online visibility from 11/26/2015 to today for Kirstenbosch Summer Sunset Concerts: Google Search Results Bing Search Results Yahoo Search Results DuckDuckGo Search Results Twitter Mentions . . .
Cape Town- We often complain about challenges we face as a nation, doing little to create opportunity for change. Truth is we must be the change we want to see in our beautiful country. Change starts with us! LIPCO Law for All in association with Maboneng Township Experience, launched five Mediation Hubs in Gugulethu. Said former Justice of the Constitutional Court of South Africa and robust advocate of mediation, Albie Sachs at the launch of the Mediation Hubs: “The potential for mediation in our country is enormous. To have it community-based gives the concept legitimacy and efficiency. Undoubtedly mediation, dialogue, consensus-seeking are deep in the African cultural tradition. The objective is not to decide on winners and losers so that they remain enemies, but to get people to dispute themselves to find the most balanced solution, and end up respecting each other in the community.” Sachs strongly believes this initiative could serve as a pilot project for use throughout the country. During 2015 residents of a small street in Gugulethu, informally known as Peace Street, have undergone professional training and have been accredited through LIPCO Law for All’s innovative mediation programme. Their homes have been converted into conflict resolution spaces to serve those who cannot otherwise access justice, giving them the ability to navigate through problems in their own community and beyond. These Mediation Hubs will furthermore exhibit artistic content that will encourage dialogue and learning about the law. LIPCO Law for All has been working for over 23 years to provide sustainable solutions that make the law more affordable and accessible. According to Managing Director, Advocate Jackie Nagtegaal more has to be done to tackle the challenges we face: “South Africans simply cannot deal with the enormous difficulties they face without access to the legal justice system and increasingly resort to mob justice to deal with conflict. The new Mediation Rules . 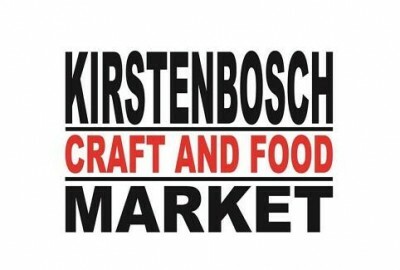 . .
A visit to the Kirstenbosch Craft and Food Market is an absolute must for those who enjoy a relaxed Sunday shopping browse, in one of the most beautiful settings in Cape Town. The 25 year old Kirstenbosch Craft and Food Market has a proud tradition. The outdoor setting is in the historic Stone Cottage grounds on the Kirstenbosch Estate, with the majestic Castle Rock as a backdrop. The stalls consist mainly of craft (with a few minor exceptions) made and sold by the stallholder. Enjoy choosing wares from artisans and craftspeople who display their unique products, including clothing, jewellery, pottery, and wood carvings. It is the perfect place to find gifts for friends or something special for your own home. Buy a delicious bite to eat at one of the many food stalls, while enjoying the music from the University of Cape Town’s finest musicians, and perhaps, take a food basket to the beautiful Kirstenbosch botanic gardens, across the road from the market, and enjoy a picnic to end a perfect day. Children are most welcome and well catered for. Time: 9am-3pm Address: Stone Cottages, on the corner of Kirstenbosch Drive and Rhodes Avenue. 29 November 2015 Author: Jessica Miller from Jessica. More Info link: https://www.facebook.com/Kirstenboschmarket/?fref=ts Images: For high res version/s of Three image/s please contact Jessica. Photo: Jessica Photo: Photo: YouTube: CLICK HERE to submit your press release to MyPR.co.za. Have a look at the online visibility from 11/23/2015 to today for Kirstenbosch Craft and Food Market: Google Search Results Bing Search Results Yahoo Search Results DuckDuckGo Search Results Twitter Mentions . . .